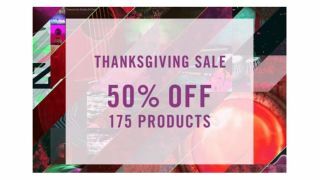 Native Instruments has entered into the spirit of the season with a massive 50% off what looks like most of its software instruments and effects. From November 14 until December 2, a whopping 175 products have been halved from their original price, including the likes of the Kontakt 6, Traktor Pro 3, Monark, Massive, Guitar Rig 5, Reaktor 6 and so, so much more. The discount offer isn’t just reserved for just whole instruments, as expansion packs are also included in the sale. We’re pretty sure there’ll be something for everyone, so to get involved head over to the Native Instruments website.